Every year when school begins I feel like I’m always ready. I pride myself on the fact that I’m a very organized mom, but by the second week of school, there are papers all over my house. Do you have any suggestions? As organized as we are, by the second week of school, piles of papers start to grow all over the house. Here’s a recipe to overcome “paper overload”. First, buy six see through open bins. They need to be bigger than a sheet of paper and can’t have a cover. If your child needs to take off a cover, the papers will never get in the bin. Label each bin by subject. Each night or each week, go through the papers with your child, tossing the unnecessary sheets into the paper recycling bin, and dropping the loose papers into the bins by subject. Next, buy a quality 3-hole punch, a critical item for “paper overload” and six loose leaf binders. Each week or month, take the papers from the bins and hole punch them. 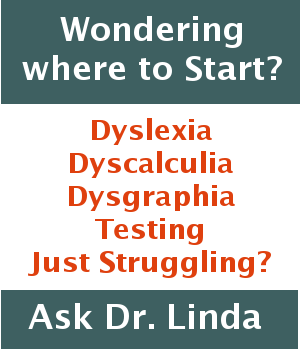 Next, place them in the labeled binders by subject, or include all the subjects in one binder, separated by dividers, and label the binder by date. Keep the binders on a shelf in the closet to be referred to for tests, science projects, book reports, and other school assignments. Send me your questions in the comment form below. 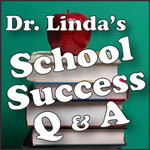 Dr. Linda’s School Success Q & A is published every Friday.